Hello, lovelies~ Back from your holidays yet? Well, I am, but I do have a review for you in the middle of the week. Yeah! Anyway, I hope you had a great holiday, meeting with relatives and friends, but it is time to go back to school or uni or work. 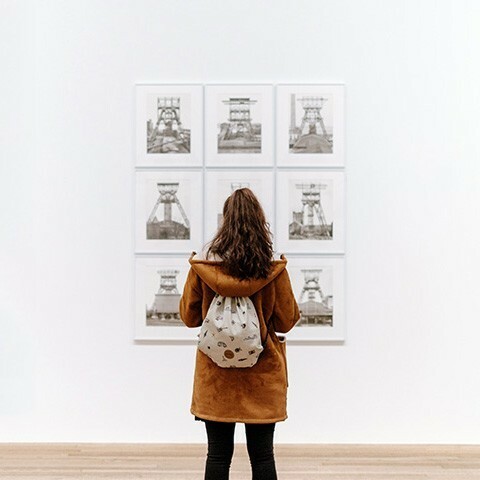 If you're taking a break from all those stressing things from work, maybe this blog post can be a little relaxing. 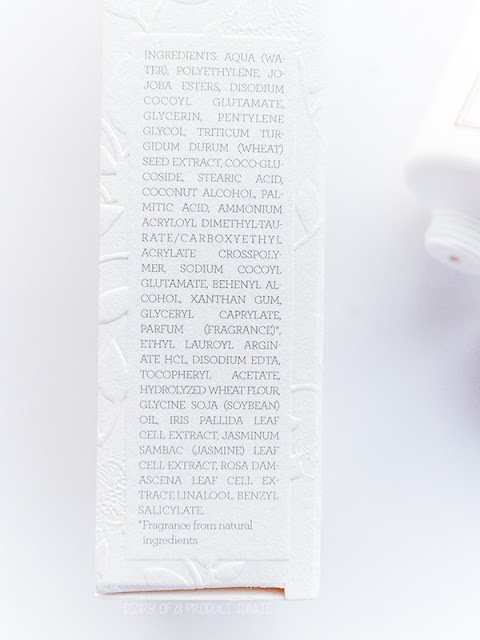 The white box has embossed patterns of leaves and flowers on it, along with the product information on the back of the box. It doesn't have an illustration of a woman like it was on the creme universelle. 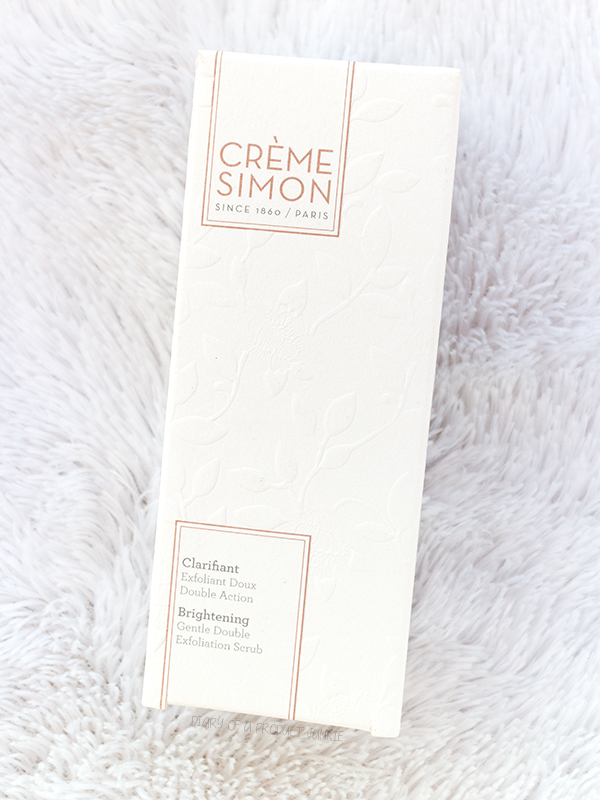 As with most Creme Simon products, it has the climate indicator on the side of the box to tell you what climate is the match with the product. 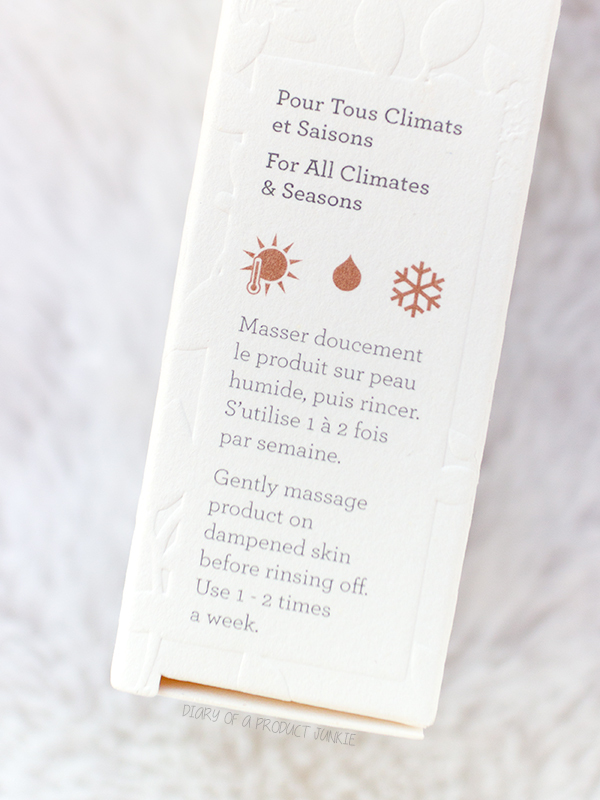 In this case, the exfoliating scrub fits perfectly for all climate. The scrub claims to give instant glow to your face by removing any presence of dead skin cells on the surface of your skin. It has rose, iris and jasmine extracts, which I rarely see in most skincare products. Let's check out the ingredients. Seeing a list of ingredients that is this long can be quite intimidating, but fear not, let's look at it one by one, shall we? 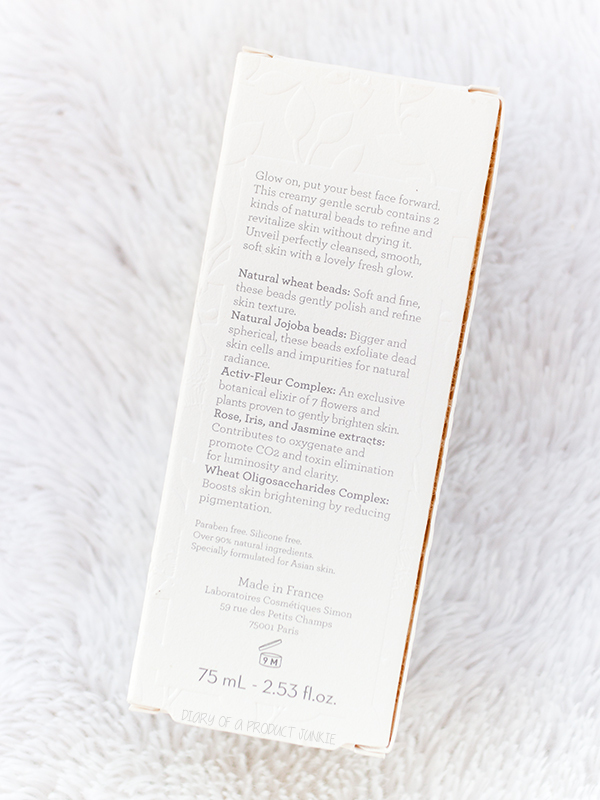 Polyethylene (synthetic) and Jojoba Esters (natural) is the microbeads that help remove those pesky dead skin cells, revealing smoother skin underneath. Disodium cocoyl glutamate, palmitic acid, sodium cocoyl glutamate and coco-glucoside acts as a surfactant that is usually used in face cleansing products. Glycerin, glyceryl caprylate and pentylene glycol is used to give moisture back to the skin. As a solvent and thickener to stabilize the product, it uses stearic acid, ammonium acryloyl dimethyl-taurate/carboxyethyl acrylate copolymer, behenyl alcohol, xanthan gum. It contains fragrance/perfume and other fragrance ingredient such as linalool, benzyl salicylate. 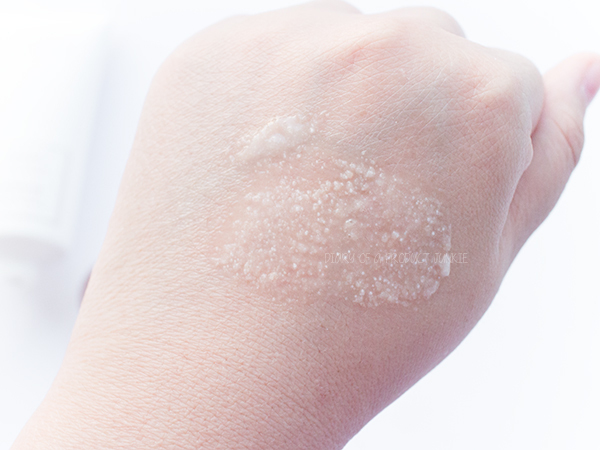 It uses disodium EDTA for preservative and it is free from parabens. 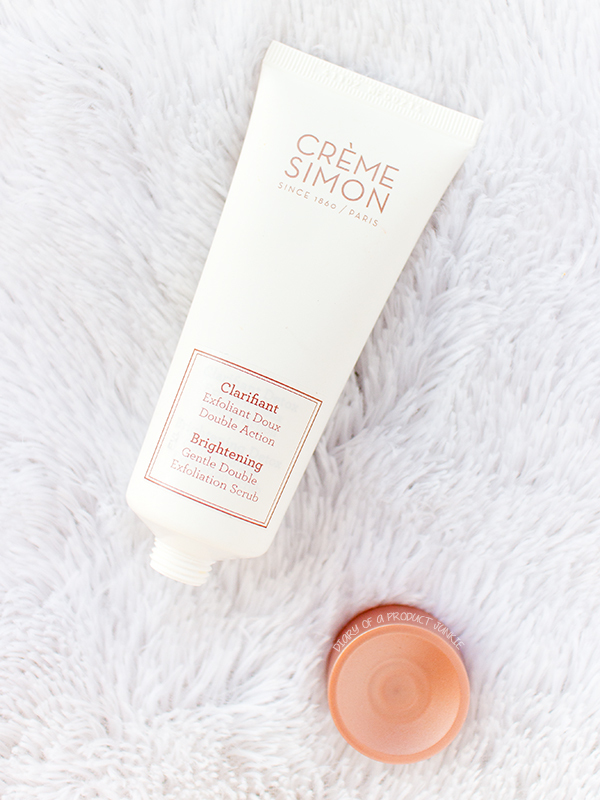 As with most Creme Simon products, they keep the rose gold (kinda) theme on the cap of each products. In this case, the round twist off cap. The hole on the squeeze tube isn't too big, but the consistency of the scrub is quite runny, so be careful when squeezing out the product, yeah? I mentioned the consistency of the scrub is on the runny side, but I like that there are plenty microbeads in one squeeze. The beads are just the right size and doesn't feel too abrasive on my skin. As opposed to the reaction I have from creme universelle, this scrub doesn't break me out. Maybe because it is a wash off type of product, instead of a cream that lingers on my skin.